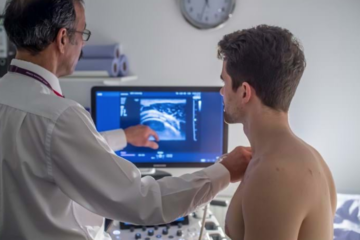 During my diagnostic radiology training, I saw firsthand how IR can help patients. 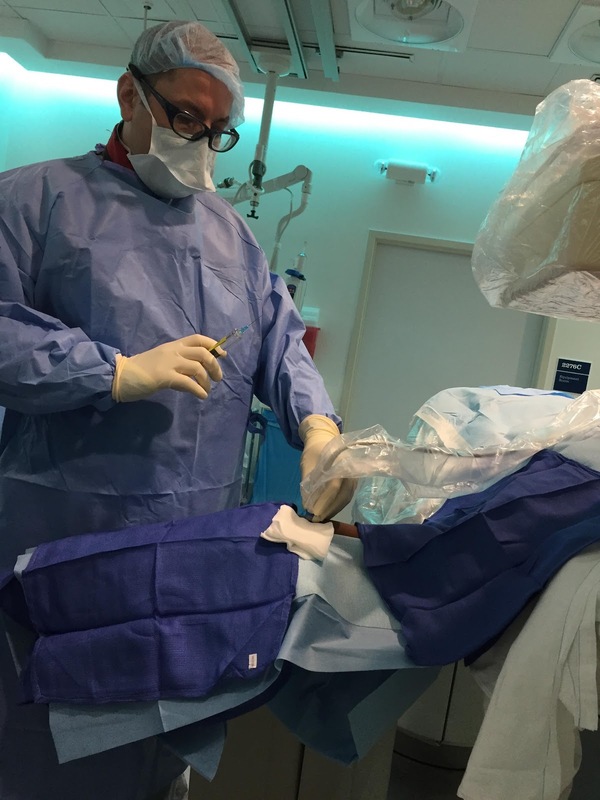 Compared to traditional surgery, it was a new way to help patients. The procedures were very sophisticated and in many cases IR procedures produced less pain and hospital stays with better outcomes for the patients than surgery. I also liked that the field was inventive and innovative. The IR physicians that I knew were fun to work with, and I could see myself doing what they did. These are the few reasons why I chose to go into IR. Because we have a very busy practice right now, I am not able to have a dedicated time for research at this moment. This does not mean that we are not doing research. Research is very important to me. I collaborate with other physicians and researchers and coordinate IR research for dedicated medical students interested in IR. To be productive, I often work on research between cases, at home, or sometimes on weekends. It is difficult to work on research with my busy work schedule, but I am very grateful for the contributions made by other researchers, residents, fellows, and medical students to the research projects that I lead. One of the challenges we face is competition from other specialties. It is also a challenge to have more clinic time to see patients while keeping up with a busy schedule of doing procedures. I work in an academic hospital, but even in this setting we are expected to do more procedures as we bring a lot value to the hospital doing procedures. This allows for less time to devote to research and other responsibilities. However, being in an academic hospital also gives you an opportunity to do very challenging cases, which keeps you on your toes and makes the work that we do very rewarding. I also enjoy being around medical students, residents, and fellows. They are very eager to learn, and I enjoy mentoring them. It feels great that students admire your work and aspire to do the same work as you do. The most rewarding aspect of my work is seeing the patient get well. There are many cases where we are the last option, and it gives me great satisfaction to be able to help them and seeing them get better. 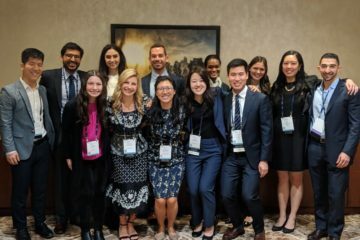 What can medical students do to get involved in IR related research? First, you should be proactive and reach out to IR physicians. You should be able to do a lot of things on your own. To allow medical students to be part of IR research in our department, I first need to see that they are truly interested in this field. You can show this by finding out as much as you can about this field and talking intelligently about IR to me. Of course, I don’t expect them to know as much as residents, but you should have a basic understanding of what we do. At academic settings, there are always rare and interesting cases, and we can write case reports on them. Helping with case reports is a good way for medical students to get involved in IR research. So, you should start with case reports first and show that you can take on this added responsibility beside your school work and then physicians would be more willing to allow you to be part of bigger research projects in IR. 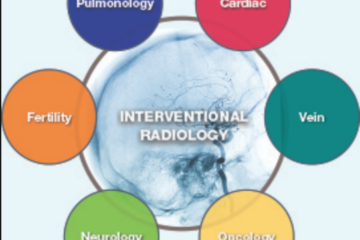 IR is always innovating, so there are too many topics for me to list, but one hot topic that I am interested in and currently doing research in is IR oncology. More specifically, I am researching the effectiveness of Y-90 treatments to treat cancers other than liver cancers, which is what we currently use for the most. I find this very exciting as this can increase our scope of treatments for oncology. So, this is a research topic that medical students can consider. I value people who are hard-working and who have integrity. They must be honest and admit to their mistakes, when they happen. As an attending, I need to be able to trust my residents and believe everything that they tell me. Because at the end of the day, I am responsible for them, I need to be sure that I can give them my full trust. Being professional and considerate are also great qualities. You should do well in medical school and on the national board exams. You need to show in your CV that you are interested in IR. If your academic hospital had an IR department or just IR physicians, you should have had a working relationship with them. Because IR is becoming a more competitive field, having done research specifically in IR is becoming more important. For me, if your academic hospital had IR research and you did research in other fields, then it makes me question your desire to go into IR residency. So, my advice is to get involved with the IR interest group and IR research. I like to spend time with my family, playing sports with my children, go bicycle riding, and watching sports on TV. The Society of Interventional Radiology’s Medical Student Council would like to thank Dr. Rotem for his time and for sharing his experiences.